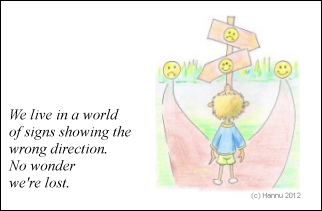 My experience of the new book ”Report from a free world” is for me like a freeing wind about something that I too have experienced while growing up, and something that I would want to be realized during this time that we are living in now. However, it has been like a memory that I have sensed, and so far from the normal thinking and consciousness that I couldn’t back then grasp that it was reality, or that something like it could even exist. And you can be sure that when I had grown up, I never mentioned a word about it to anyone, not even those closest to me. When I in the spring of 2015 spoke with others that had read the book, I heard that others have had almost similar experiences. I also heard that others had been silent almost word by word for the same reason. They didn’t want to hear the critique and suffocating disparage that can be expected of an environment that knows nothing. I my case, especially when I was a child, my attempts to tell about my inner experiences led at best to physical consequences – in other words I got beat up by the bigger or more popular and a few years older boys, and even some older girls worked as ”Yes-men” for these boys. Already then it crossed my mind that were these subjectors afraid of losing their power in the kingdom they had created. 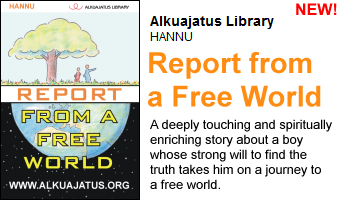 Directly when I read ”Report from a free world”, it came to my mind without thinking that this book describes someone else’s experiences of exactly the same things that I had, about how a free world is – and it is a world without any kind of power considering anything. That means power where size, age, popularity or the thought decides the picking-order, in other words the unequal power hierarchy. To borrow a sentence from the Bible: ”Women should remain silent in the churches!”. Behind this offered life-advice and reality is claimed to be no less than God himself. Earlies the sword was popular too, and perhaps the fist is still used to force others. I sincerely recommend the Report-book with all my consciousness to everyone who really cares for other, and who doesn’t swallow everything that is offered to us from the outside, and that causes confusion and makes one feel bad. No knowledge should be rejected, but no knowledge is to be believed in. To find true knowledge, it has to be observed in the inner until one understands it fully and sees with his own eyes what it is. Not until after that one gets the insight, which means seeing the matter completely clearly. It’s a question of a personal seeing of the matter. I wish you all rewarding and mind-opening reading moments.